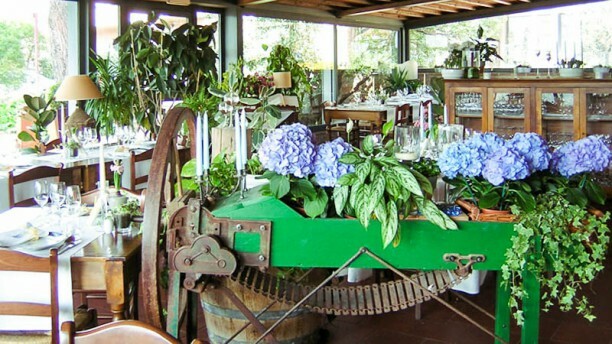 The restaurant Da Nisio is a tuscan restaurant near San Gimignano, you can stop by while visiting the ancient Medieval hamlet or Colle di Val d'Elsa, Monteriggioni, Certaldo Alto, or also Siena and Florence. We almost didn’t choose this restaurant because of the bad reviews regarding the owner. We had a completely opposite experience. He was a wonderful host. Gave us a glass of Processco the house as well as delicious fennel soup. Our meals were out of this world. The restaurant itself is very lovely. We loved every minute! Very nice place with very nice host. He was courteous and pleasant to everyone. The meal was very tasty and the wine from local vineyard went very well with it. Very nice waiting staff and delicious food. Very good price for what you get, because you get a lot. Received prosecco of the house and also an apetizer. We would absolutely recommend this restaurant!! Very very nice food, for real gourmans ???? Great reastaurant! !We loved the food and the wine. The atmosphere was wonderful.Everything was perfect! Thank you for help us choosing the menu!! a very good and quiet adress nearby San Gimignano for a dining evening out!